The contest is open to middle school students (6th, 7th and 8th grade), who live in Orinda or attend an Orinda school. cally for the contest and without teacher or parent involvement. All entries must be written in English. Submissions will be evaluated on the following items: content, clarity, structure, and originality. 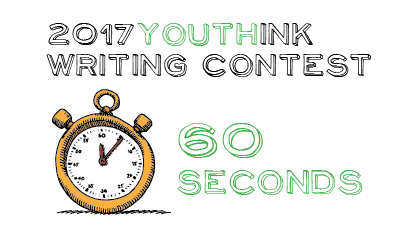 The writing prompt for 2017 is 60 Seconds; however, you may write about anything you like—real or imaginary—adhere to the prompt or not! There is no limit to your imagination. ce Box 40, Orinda, CA 94563) or emailed to info@orindajuniors.org by February 15, 2017.
dential until the winners are announced. ed by mail and receive their prizes at an Awards Ceremony on April 20, 2067 from 6:00−7:00pm. The ceremony is open to the public and all family and friends are invited to attend.